Below we discuss the various aspects of dog watery eyes including excessive tearing that comes with discharge, allergic reactions, tear staining, why it may be accompanied by sneezing and nasal discharge and much more. Streams of tears in both animals and humans are self-cleaning agents which are vital in flushing out unwanted objects from the eyes and keeping them lubricated. Also known as epiphora, excessive watering of dog’s eyes is a common occurrence. It is seen as an overflow of tears onto the face and could be caused by insufficient drainage of tears or excessive production of tears. In some cases, it could be both. Learn the causes of dog watery eyes and what to do about them. The causes are variant and may be issues related to eye problems while in other cases the causes could be congenital deformities. Found them discussed below. Dogs tend to experience things that would otherwise be regarded as harmless but which the body identifies as dangerous allergens and reacting appropriately. These things may be pollen, dust or food which cause allergic reactions when ingested, inhaled or touched. The result is various physical reactions such as dog watery eyes, irritated skin, excessive scratching, and licking or chewing of the skin. The primary role of tears is to keep the eyes lubricated as well as flush away any unwanted materials from the eyes. To conduct this role, the eyes produce tears constantly and once their role is accomplished or in case of excess, they have drained away through the tear ducts. This acts as a drain hole. In case the tear ducts are blocked or too narrow, the efficacy in draining the tears is diminished. As a result, the dog experiences watery eyes. With time the excess tears spill off on the face. Debris and dirt can cause blocked tear ducts while in other instances the cause could be infections. 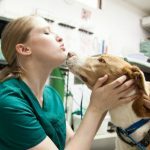 Your vet will offer the appropriate diagnosis and advise you accordingly. Also referred to as conjunctivitis, pink eye is a condition in which there is an inflammation of the conjunctiva, the clear part of the eye lying over the eye white and lining the eyelid. This may be caused by bacteria, a virus or allergic reactions. While the viral pink eye has no treatment, the others can be treated using over the counter eye ointment and drops. A dog suffering a pink eye infection will paw at the eyes due to itch, have red inflamed eyes as well as excessively watery eyes that may develop to a crusty eye discharge with time. This is also referred to as keratoconjunctivitis Sicca. It occurs due to the dog’s inability to produce enough tears. This could happen in case the tear gland gets infected or where it is subjected to physical trauma. A dog with dry eye will have a yellow discharge, excessive bleeding, swollen eyelids and inflammation around the eyes. With this, something unwanted gets into the eyes of your pet. This could be an eyelash, specks of dust, a fruit fly among others. When this happens, the eyes respond by producing more tears in a bid to flush out the foreign matter. This, in turn, causes dog watery eyes until the object inside is removed. In addition, foreign objects in the eyes could result in irritation and see your dog pawing at the eyes. At times, the dog watery eyes could be as a result of poor grooming or lack thereof. 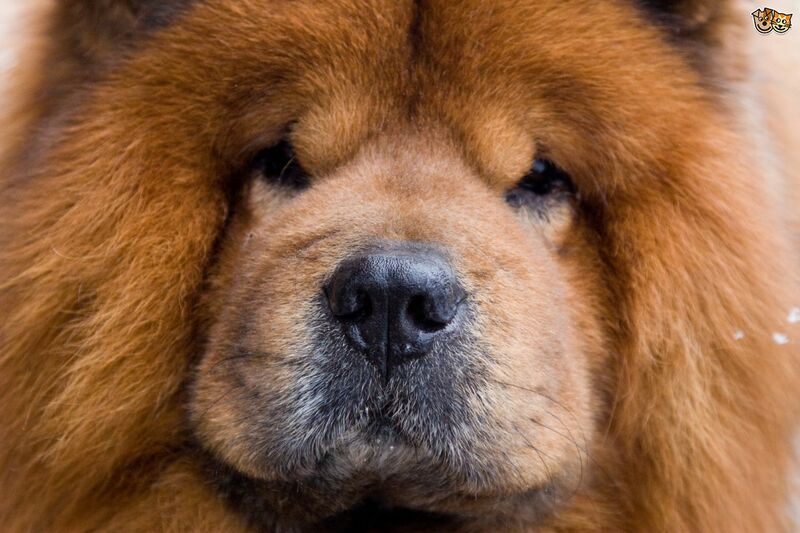 While some dogs have perfectly shaped hairs around the eyes, there are those that have hairs directed into the eyes. When these rogue hairs grow long, they may slide into the eyes causing irritation and resulting in excessive tearing. In some cases, your pup may experience eye problems as a result of anatomical shortcomings. For example, protrusion of the third eyelid will cause dog watery eyes due to the resulting excessive tearing. Also known as the nictitating membrane, the third eyelid could protrude as a result of various eye conditions such as a cherry eye. When this happens, it becomes visible as opposed to normal times when it is retracted beneath the eyelids and invisible. It is caused by a weakening of ligaments in the eye, relaxation of muscles surrounding the eyeball, the presence of cysts as well as where the dog is born with abnormally small sized eyes. When a dog’s eyes are painful for whatever reason, the dog will show it. Some of the symptoms they might experience include dog watery eyes, sensitivity to touch and light and squinting. Irritation in the eyes may be caused by some of the conditions discussed above. When the eyes are facing irritation, they may swell, itch and crust. Skin conditions could also cause irritation on the eyelids. All these may result in dog watery eyes. This is a serious eye condition which, if left untreated, could lead to blindness. It occurs when fluid production in the eyes supersedes its absorption. As a result, there is intraocular pressure within the eye and when this builds up to levels too high, degenerative changes occur in the optic nerve. The condition may be primary or secondary. Primary glaucoma arises with no preceding eye conditions and tends to be hereditary while secondary glaucoma occurs as a result of existing eye disorders such as uveitis and cataracts. This is yet another condition resulting from an imbalance in eye pressure. It occurs where there is a drastic decrease in pressure which results in a “soft eye’. It is caused by inflammation of the iris as a result of which there is diminished production of the fluid responsible for maintaining pressure. This leads to decreased pressure within the eye. The condition comes with excessive pain, reddening of the eyes, squinting as well as severe dog watery eyes. The condition requires immediate treatment as delays could result in the eyes sinking in before going blind eventually. In addition to the above, any ear, nose and throat infections, eye duct problems and conditions affecting the respiratory system may result in dog watery eyes. It would therefore not be alien to see your pooch tearing excessively when they have a dog cold. When a dog’s eyes are watering more than usual, there is constant moisture around the eyes. This makes the area a perfect breeding ground for microorganisms. A common bacteria that is known to thrive in this environment is the red yeast. This leads to a yeast infection around the eyes which could also irritate the dog. With continued dog watery eyes, tear staining which is seen as a reddish or brownish discoloration of bright colored coats. Whenever a dog’s eyes are watering more than usual, it is important to have them checked so the problem can be dealt with appropriately. In most cases, excessive tearing in dogs involves clear dog watery eyes. As indicated above, there are different causes. When the watery eyes come with dog eye discharge, the cause could be dry eye. When a dog experiences it, there is less production of tears and the system tries to compensate by making more mucus to act as a lubricant. As a result, dog watery eyes with white discharge. It is possible for a dog with watery eyes to also show symptoms related to the respiratory system such as sneezing and a runny nose. When this happens, the cause could be an allergic reaction. An allergy induced reaction will affect the nasal passages leading to discharge in both nostrils. 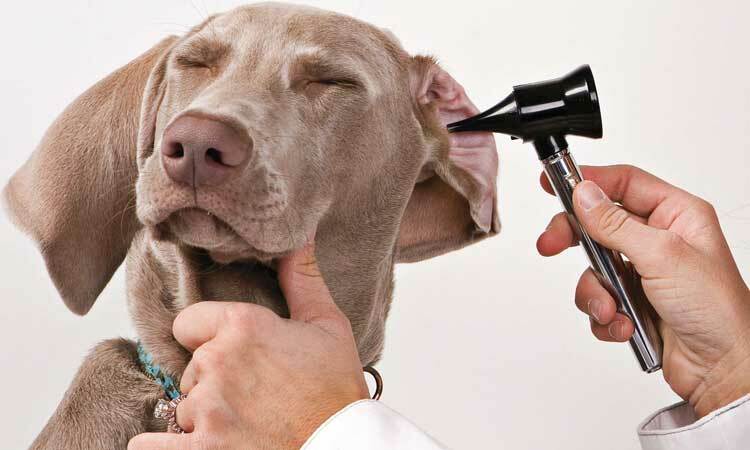 Infections are another reason why your dog will have watery eyes, runny nose, and sneezing. There are different causes of dogs’ eyes watering more than usual. 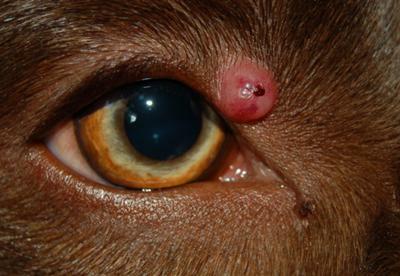 If you cannot point out what the cause is, see your vet ensure your dog’s eye health does not deteriorate. Can watery eyes be caused from some kind of allergy?.